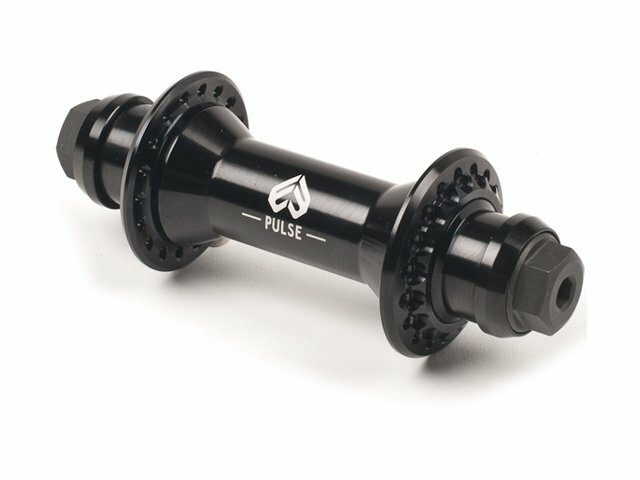 The eclat "Pulse V2" Front Hub is a high quality low flange front hub with a CNC machined hub shell made of 6061-T6 aluminium including a heat treated 14mm CrMo female hollow axle and high quality sealed bearings. The extra reinforced flanges provide increased stability and reliable operation. The included CNC machined washers of the eclat "Pulse V2" Front Hub offers a clean look. With the separately available eclat "Pulse" Front Hubguard you are able to protect both flange sides of this front hub.